The Nigerian Petroleum Development Company Limited (NPDC), an upstream subsidiary of the Nigerian National Petroleum Corporation (NNPC) may acquire two additional oil blocks relinquished by International Oil Companies (IOCs). Oil giants, Shell Petroleum Development Company of Nigeria Limited (SPDC), Total E&P Nigeria, and Nigerian Agip Oil Company Limited (NAOC) had recently announced the sale of their 45 percent interest in the onshore block Oil Mining Lease (OML) 40 to an indigenous Nigerian oil firm, Elcrest Exploration and Production Nigeria Limited. Group Executive Director, Exploration and Production, NNPC, Mr. Andy Yakubu confirmed the development last week at the Annual General Meeting (AGM) of NPDC in Abuja, but did not give details. 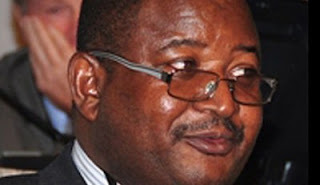 Yakubu stated that arrangements to that effect were in progress, even as he said the deal was subject to the approval of the Minister of Petroleum Resources, Mrs. Diezani Alison-Madueke. “We will review details of the acquisition including the number of oil blocks to consolidate our portfolio, of course, NPDC participates in international oil trade just like any other oil company and we have to continue to evolve measures to sustain our self financing stance,” Yakubu added. Meanwhile, NPDC has reported a pre-tax profit of N15.5 billion for the 2009 financial year. The profit was part of the company’s increased total revenue of N200.38bn in 2009 against N118.4bn that was garnered in 2008, representing a 69 per cent rise in revenue from previous financial year. Yakubu who disclosed that NPDC’s current crude production stood at about 2.5 billion barrel as a result of the relative peace in the oil rich Niger Delta region, said its crude oil lifting from the Okono Terminal during the period under review was 21,051,604 barrels, while lifting from the Forcados Terminal was 938,934 barrels, putting total lifting at 21,990,538 barrels or 86 per cent increase over the total oil lifting of 11,812,625 barrels in 2008. “Total revenue increased by 65 per cent from N118.4bn in 2008 to N200.38bn in 2009. Also, profit after tax increased by 89 per cent from N8.2bn in 2008 to N15.58bn in 2009. These results clearly showed a marked improvement on the performance of 2008,” he said. According to him, NPDC recorded increase in crude oil production in the 2009 financial year despite the security situation in the Niger Delta. “Notwithstanding the security situation in the Niger Delta region, NPDC produced an average of 60,855bpd, representing 54 per cent increase compared to an average of 39,639 bpd in 2008. Total equity production was 22,212,062 barrels, an increase of 70 per cent when compared to13, 080,092 barrels produced in 2008,” Yakubu added.